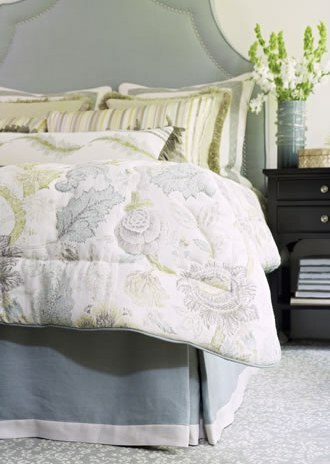 Dress your bed all the way to the floor with a beautiful custom bed skirt chosen to complement your coverlet, comforter or duvet. Custom bed skirts are made for your bed, so they fit perfectly. Suitable fabrics include light to medium weight fabrics. Some heavier weight fabrics may also be suitable. Lining is a standard feature and silk fabrics should also be interlined.